While we're on the subject of feeding worms grain, here's a tip that helps keep your worm bedding's pH correct (neutral). Save all your egg shells (heck, have your friends and family save theirs, too). Allow them to dry, crush them and add them to your worm bed. If you are feeding grains, the egg shell's add a very "worm friendly" calcium to your worm bedding and help neutralize any acid conditions grains may cause. The old timer's solution to an acid bed is to add calcium carbonate to the bedding. This remedy may or may not work and may or may not actually cause harm to your worms. Seems the calcium carbonate creates a carbon monoxide build up in the worm bedding. If you do apply it, you must toss the bedding repeatedly to release this build up. My solution to acid bedding? Don't let it get acid in the first place. More often than not, you'll have to completely change out the bedding and hope your worms recover. How do you keep your worm bedding from going acid? Never feed more grain in a 24 hour period than the worms can eat. Remove any uneaten grain and apply less. Never turn grain into the bedding. Remove any left overs before turning. Feed your worms dried, crushed egg shells. Mist your worm food with a weak solution (80:1) of water and VermaPlex® (a liquid garden soil inoculate made from, get this, worm castings) when you add food and when you change out the bed with fresh bedding. 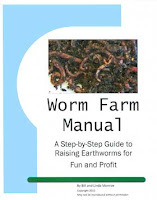 Check out Worm Farm Tip #2 on EarthwormWorks. Bottom line: Your adding microbes to your worm bed because worms need microbes to digest their food. Hello. I hope you don't mind me asking a couple of questions. I am wanting to raise European nightcrawlers for profit and for my husband's fishing needs and not for composting, so is there anything simpler that I can feed them, like cornmeal? Can they eat yellow cornmeal, or any type of cornmeal? Feeding worms grain like cornmeal is a little tricky. Cornmeal is very nutritious, much more so than cardboard. You almost have to feed grain to get your worms to their fattest possible condition. But there's a danger when using grain to feed your worms. Mist the top of your bedding. Remove any uneaten grain the next day before applying new grain. To answer your other question, Jamye, use plain yellow cornmeal. Yellow is more nutritious and plain has no salt or leavening compounds. Commercial worm feed, however, is much more nutritious than corn meal. You can buy worm feed at local seed and feed stores, but it comes in 50 pound bags. 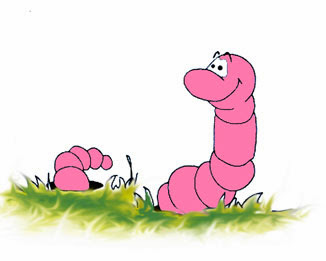 If you only have a small amount of worms right now and you don't use it up, it can get bugs in it. We have a smaller quantity available of the worm feed we use for those of you who don't have a local source or don't require the large amounts just yet. I've gotten a series of questions from one of my new customers, Jamye. 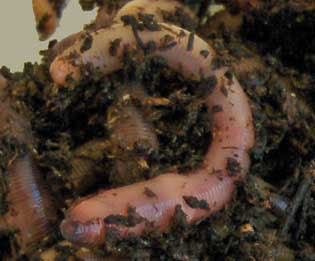 She is starting to grow earthworms (European nightcrawlers in particular) in hopes of starting a home based business. After ordering her European nightcrawlers, she was eager to get started, but had some concerns. "Hello. I hope you don't mind me asking a couple of questions. 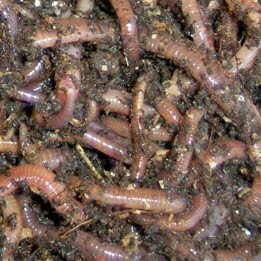 I am wanting to raise European nightcrawlers for profit and for my husband's fishing needs and not for composting, so is there anything simpler that I can feed them, like cornmeal? Can they eat yellow cornmeal, or any type of cornmeal? Do I place my plastic tote outside with high temperatures, or do they need to be inside for better turnout? It is really not too hot yet. If I do put them outside, do I need to bring them in during really hot temperatures or cold temperatures? How fast do they multiply? Is it okay for them to be in just topsoil with some cardboard and egg crate mixed in (or some shredded paper)? What is the best thing? Thanks, Jamye"
Thanks for your questions. You can mix the shredded cardboard/paper in with the other bedding (peat moss is good, mixed 50:50) Moisten the paper as per the guide attached to prior emails. Dry the eggshells and grind them up and sprinkle on the bed, this will help keep the bedding pH neutral. Be careful feeding grain (cornmeal). It will fatten the worms, but there is a danger of "acid poisoning" if you feed too much or it gets turned into the bedding. Only feed as much grain as they can eat in one day. Clean off any uneaten grain before adding more or before turning the bedding. Worms do best at temps that we like (74). But as long as the bedding is moist and deep enough and not in direct sunlight, outdoor is no problem. We're in Florida and it gets pretty hot here. They can withstand freezing temps if it doesn't stay below freezing for more than 3 days continuously, although they will get slow and dormant. And they may crawl when it gets cold, so leave a light on over them. It's a good idea to always leave a light on overnight with nightcrawlers (hence the name!) just as insurance. They will crawl when it storms, if there's excess noise, or for no apparent reason. The light will keep them in place. Good luck with your endeavor. If you're serious about growing worms (and it sounds like you are) check out our Worm Farming Guide. It pretty much answers all the questions that we get and will help keep you from making some of the (expensive!) mistakes we made in the beginning. Oh, and thanks again for your business, - Bill"
If you have questions of your own, go ahead and post them in the comments section or contact me at info@monroeworks.com. More to Q & A come! Worm Farm Manual: A Step-By-Step Guide to Raising Earthworms.